I will be speaking at the annual convocation service on Tuesday, September 14, 2010 at 10:10am in Virginia Hall on the campus of Baptist Theological Seminary at Richmond. I am honored to share with new and returning students, faculty and alumni how BTSR shaped my journey as a minister. Additionally, I will be doing a book signing following convocation. 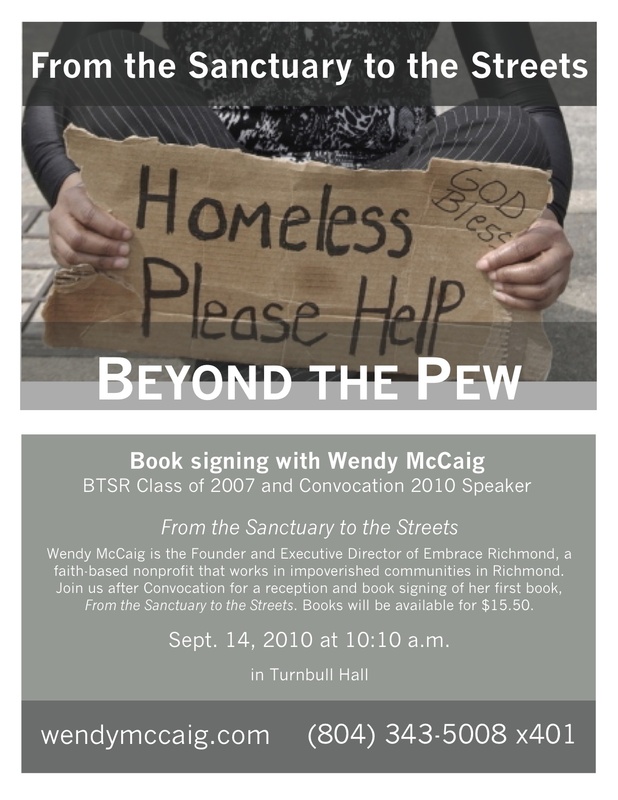 My book From the Sanctuary to the Streets captures how the challenges put forth through my theological training at BTSR guided me on my journey toward an application of Christian social teaching. I look forward to seeing many of you at convocation. Wendy, what a wonderful opportunity for you — and a blessing for all who will hear the story of your amazing journey.